The apartment was very nice with a beautiful kitchen (well equipped) and a truly unique bathroom. The balcony was really comfortable with view to the pool and the garden as well as the sea. Stelios and Maria (our hostess) were really great, Maria took really good care of us and made us coffee. 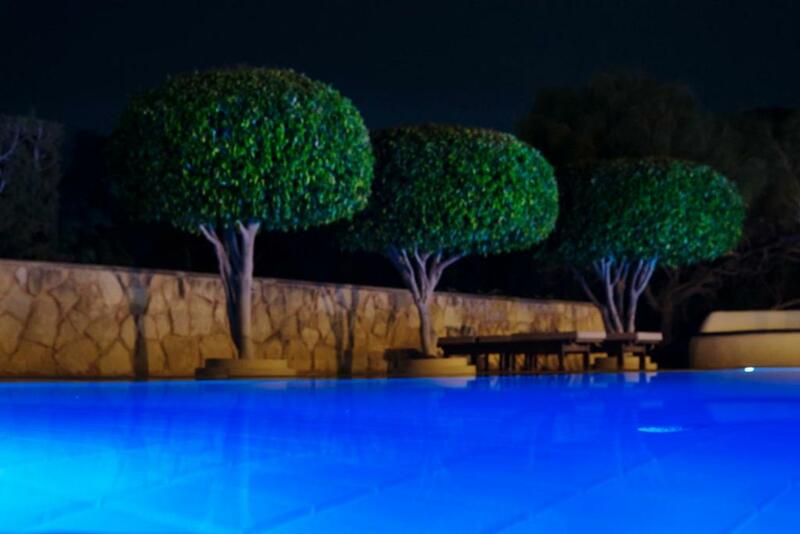 Great garden and pool! Excellent place and value for money. Car is essential. Maria was helpful. Swimming pool excellent. Landscape excellent. Clean. A thoughtful bottle of wine was supplied. Good location for Sitia and exploring local areas. Very nice apartments not far away from Sitia city. Garden with swimming pool with sea water was amazing and always clean. For this place you need to defiantly have a car as not so easy to access from the airport. Staff very friendly and helpful. L'appartement était confortable, spacieux, bien équipé. Nous avons été accueilli par Maria, qui est très prévenante et pleine de bons conseils, comme Stelios le propriétaire. Le logement est excellemment situé pour profiter des merveilles de l'est de la Crète. Jeden dritten Tag Reinigung, extrem freundliche Gastgeber, nicht aufdringlich. Sauberes Pool in sehr schöner Gartenanlage. Ein Vorteil ist, ein Auto 🚘 zu mieten. 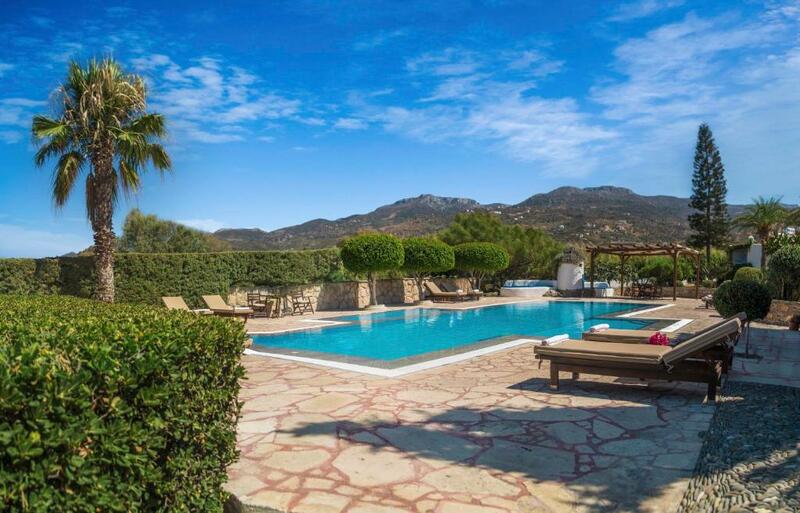 Lock in a great price for Sitia Oceanides – rated 9.2 by recent guests! 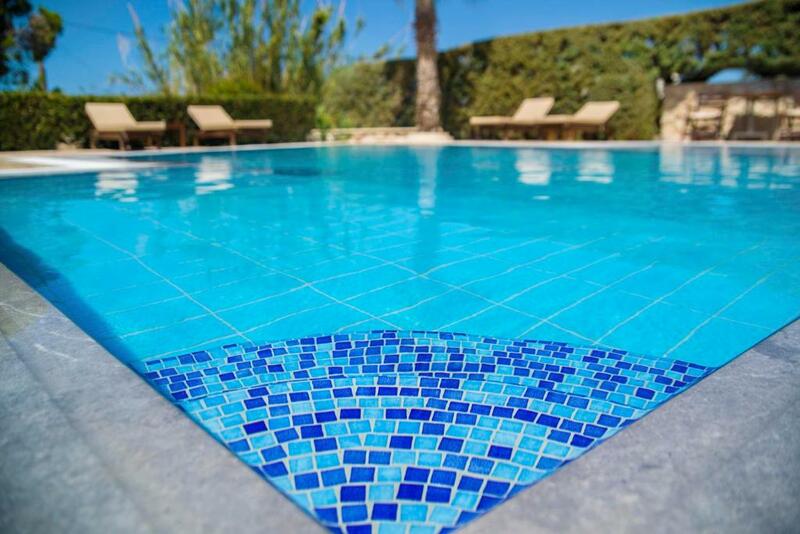 Offering a communal pool and a garden, Sitia Oceanides is located in Siteia Town. 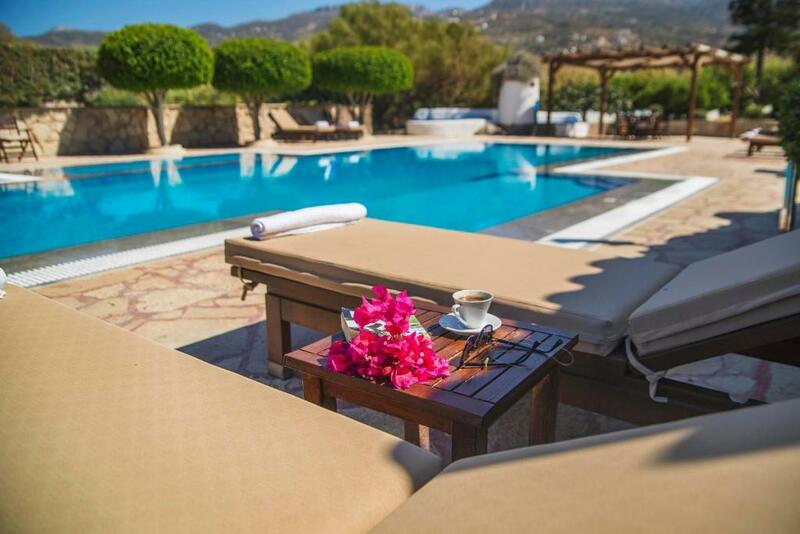 It features fully equipped accommodations with views over the Cretan Sea, the pool and the garden. Sitia Port can be reached within a short drive. Opening to a furnished balcony and a terrace, all air-conditioned apartments of Oceanides come with 2 separate bedrooms. Each consists of a living room with sofas and flat-screen TV, and an open-plan kitchen with dining area and oven with hobs. Free WiFi is available. Guests may relax on the sun loungers of the sun terrace by the pool. A well-tended garden with plants and trees surrounds the property. Several restaurants and café bars can be found within a short walk. The popular palm-tree forest of Vai is a 30-minute drive away. Agios Nikolaos Town is 43 mi away. Free private parking is possible on site. 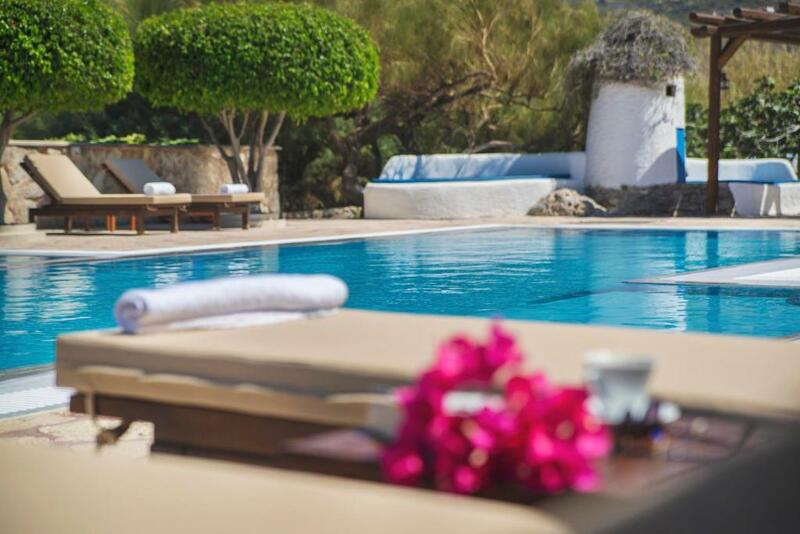 When would you like to stay at Sitia Oceanides? 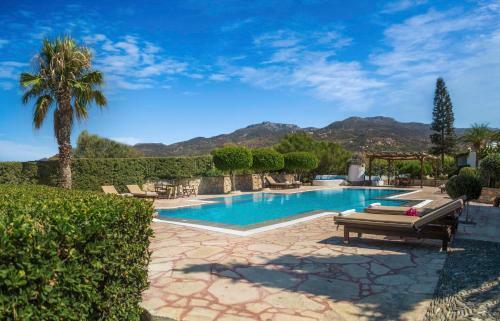 Located next to the pool and opening to a furnished balcony and a terrace with views over the Cretan Sea, the pool and the garden, this air-conditioned apartment comes with 2 separate bedrooms. It consists of a living room with sofas and flat-screen TV, and an open-plan kitchen with dining area and oven with hobs. 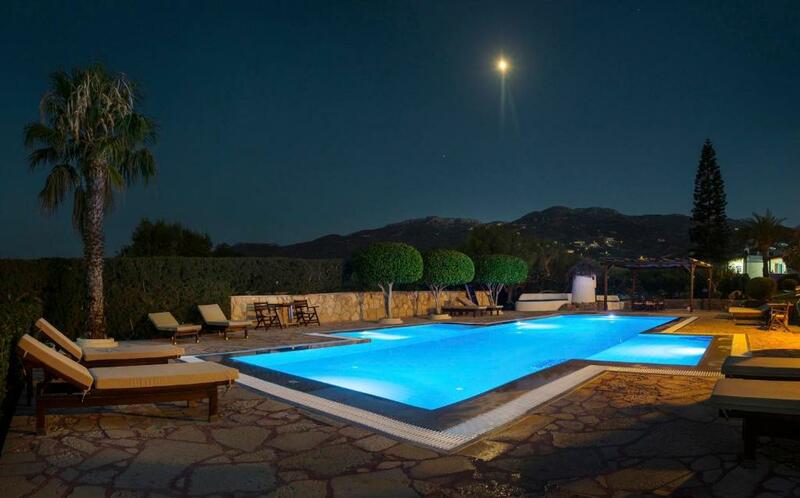 Located next to the pool and opening to a furnished balcony and a terrace with views over the Cretan Sea and the garden, this air-conditioned apartment comes with 2 separate bedrooms. It consists of a living room with sofas and flat-screen TV, and an open-plan kitchen with dining area and oven with hobs. House Rules Sitia Oceanides takes special requests – add in the next step! One child or adult is charged EUR 8 per night in an extra bed. Sitia Oceanides accepts these cards and reserves the right to temporarily hold an amount prior to arrival. Please inform Sitia Oceanides of your expected arrival time in advance. You can use the Special Requests box when booking, or contact the property directly using the contact details in your confirmation. Beds pillows and wardrobe quality was poor. No poolside towels supplied. Some minor aspects which could be mentioned are related to the kitchen, which is not equipped very well: cutting boards as well as long knives, e.g. to cut bread, are not available (we got them in the supermarket) and the stove may allow you to cook some noodles but not much more (one 1000 W and one 700 W heating plate). The fridge was a large full sized fridge with lots of space. However, the bathroom could use some renovation as it is not so modernised as the rest of the apartment. A dripping water tap is only a minor issue, the leaking toilet which caused a constantly wet floor was somewhat annoying. The one aspect which I would like to highlight and which rather limit my excitement about Oceanides is the following: We come from an urban environment and we were looking for a remote and quiet place to spend our family vacation, which we thought Oceanides to be. Unfortunately we were wrong. In the first week of our stay there were two disco parties with blaring music at the pool, which is about 20 m away from any apartment. The 1st event lasted until 3:00 am. When the second event had started, I contacted the owner via email and I believe his intervention cut the party short and the circus ended at 24:00. Which would have been fine, if that had been the end. But after a while someone decided to turn on the music again and start over. The best came the following evening: There is a caretaker of the premises who obviously was angry that I complained about the noise. When we were having dinner on our balcony with music from the mobile, he passed by and had to shout a comment to other guests which was along the line "Hey, no party tonight." A place where the employees do not respect the guests in my view is not necessarily a place where I want to spend my vacation again. There place is very nicely landscaped and has a wonderful garden with palms, bougainvillea, fig trees, and more. 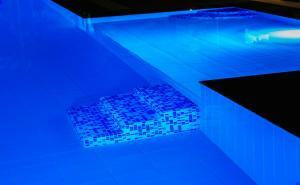 The salt water pool is perfect for kids and the water is changed regularly. The whole place is maintained very well, the owner obviously takes great care that everything is neat, tidy and nice, which creates are great atmosphere. We had an apartment with two bedrooms (which are equipped with air conditioners) and were very happy with it. It offered plenty of space and the layout was perfect. The furniture is in a modern style and again the overall impression was that (with exception of the bathroom and the kitchen, see comments below) the owner is striving for a high level of comfort. From the balcony of out apartment we had a beautiful view into the garden and also had a see view as promised (on the upper level the view must be spectacular). What I also liked was the very warm welcome. Eleni sent us a very nice email even before we travelled and also welcomed us when we arrived at the location. This was followed up by a warm and friendly email by the owner Stelios. Both gave us the feeling to be welcome and this was done in an exceptionally friendly way which I have not experienced in any other place before. Many thanks for that.